Some future historian, searching for the origins of a second Middle Ages, might fix on the summer of 2015 as its starting point. Here occurred the marriage of seemingly irreconcilable world views—that of the Catholic Church and official science—into one new green faith. To be sure, the Church played an important, if difficult role, in preserving classical culture and, in the Renaissance, often nurtured a resurgence in some classical values of human self-improvement, science and inquiry, and individual enterprise. But ultimately, as Max Weber noted, it could not compete with a Protestantism that fit more easily with the emerging capitalist spirit. Protestant countries—the Netherlands, northern German, Britain, and America—took the lead in the development of the modern world. Capitalism, particularly during the early industrial revolution, often abused human dignity and engendered huge poverty. This still happens today, as the Pope suggests, but this system has also been responsible for lifting hundreds of millions of people—most recently in China and East Asia—out of poverty. Without the resources derived from capitalist enterprise, there would have been insufficient funds to drive the great improvements in sanitation, housing, and education that have created huge pockets of relative affluence across the planet. The origins of this world view back to the ’40s. An influential group of scientists, planners, and top executives voiced concern about the impact of an exploding population on food stocks, raw materials, and the global political order. In 1948, environmental theorist William Vogt argued that population was outstripping resources and would lead to the mass starvation predicted in the early 19th century by Thomas Malthus. The legacy of Malthus, himself a Protestant clergymen, dominates environmental thinking. As historian Edward Barbier notes, Malthusianism presumes that a culture or society lacks all “access to new sources of land and resources or is unable to innovate,” thus is “vulnerable to collapse.” In his seminal 1968 book,The Population Bomb, Paul Ehrlich predicted imminent mass starvation in much of the world and espoused draconian steps to limit fertility, which he saw being imposed by a “relatively small group” of enlightened individuals. He even raised the possibility of placing “sterilants” in the water supply and advocated tax policies that discouraged child-bearing. Ehrlich’s dire predictions proved widely off the mark—food production soared, and starvation declined—but this appears not to have dissuaded the Church from embracing Ehrlich’s contemporary acolytes. This is not to say that environmentalism has not achieved much in terms of cleaning the air and water, restoring wildlife and expanding open space. Yet these triumphs are not seen as sources of inspiration by a movement that seems to live off pointing to a doomsday clock. The green movement’s views on population represent the most difficult contradiction in the new alliance. Many environmental organizations and pundits favor strong steps to discourage people from having children. 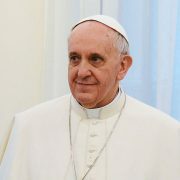 The Church and Francis are now allied to the likes of Peter Kareiva, chief scientist for the U.S.-based Nature Conservancy, who has concluded that not having children is the most effective way for an individual in the developed world to reduce emissions, although he adds that he himself is a father. In the United Kingdom, Jonathan Porritt, an environmental advisor to Prince Charles, has claimed that having even two children is “irresponsible,” and has advocated for the island nation to reduce its population by half in order, in large part, to reduce emissions. The Poor will always be with us. But they might not go along with the plan. Another flash point between papal concerns and those of their new best friends lies in addressing poverty. The Pope is correct in identifying inequality and poverty as major concerns, but it’s hard to say how green strategies—particularly when they make energy, housing, and industry far more expensive—actually alleviate the plight of the poor or the middle class. We are not talking here about not socialism, as some right-wingers suggest. Marxism, for all its manifest flaws, justified itself by promising to improve living standards; it was passionate about technology, which is one reason Marx called it “scientific socialism.” Instead, Francis seems closer to Peronism, the dominant state ideology of his native Argentina. Even before his most recentpronunciamento, Francis widely disparaged capitalism, which he equated with the cronyism dominant throughout South America. Peron himself may have battled the Church of his day, but Francis’s relations with the current Peronist regime have warmed considerably, particularly since his ascension. As the Guardian reports, when he was named pontiff, posters quickly appeared around Buenos Aires with the image of Francis over the words “Argentine and Peronist.” Peronism embraces the ideal of an economy where justice is mandated through the state’s redistribution of wealth. This is not reassuring. Since the last century, Argentina has been one of the world’s greatest economic failures, a country that despite a talented and educated populace and huge natural resources, has tumbled from rich country status to a second or third world country. In essence, replacing the American dream with an Argentinian one sounds less than appealing. In contrast, many greens now seem to embrace ever continuing poverty for emerging countries. Prince Charles, for example, embraces the “intuitive grammar” of ultra-dense slums such as Mumbai’s Dharavi, which, he claims, have perfected more “durable ways of living” than those in the suburbanized west. Similarly, the influential environmental group Friends of the Earth applauds recycling in Dharavi as an “inspiration” for the urban future. California’s Stewart Brand openly endorses the notion “Save the Slums” because they will save the planet. What matters little to the green movement are the economic ramification of their preferred policies, such as forcing a large percentage of the population into “fuel poverty.” Loss of jobs in trucking and manufacturing would hit blue-collar workers and neighborhoods hardest, according to most studies. How this jibes with meeting the high welfare and retirement costs with an urban population increasingly dominated by immigrants, their offspring, and other poor children, seems problematical at least. What we seem to have forgotten is the historic ability of our species—and particularly the urbanized portion of it—to adjust to change, and overcome obstacles while improving life for the residents. After all, the earliest cities of Mesopotamia and Egypt arose, in part, from a change in climate that turned marshes into solid land, which could then be used for intensive, irrigated agriculture. Similarly, pollution and haze that covered most cities in the high income world—St. Louis, Pittsburgh, Dusseldorf, Osaka, Los Angeles—only a few decades ago has greatly improved, mostly through the introduction of new technology and, to some extent, deindustrialization. In recent decades, many waterways, dumping grounds for manufacturers since the onset of the industrial revolution and once considered hopelessly polluted, have come back to life. This notion that people can indeed address the most serious environmental issues is critical. 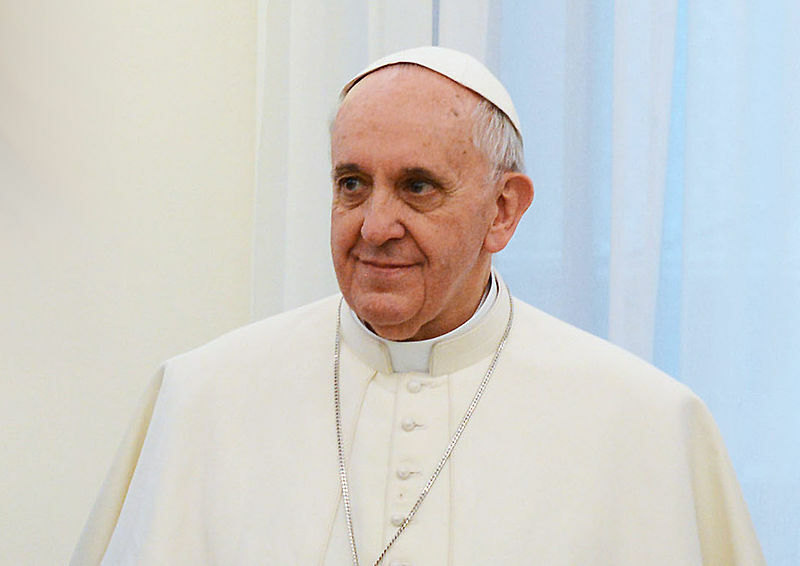 We should not take, as Francis does, every claim of the climate lobby, or follow their prescriptions without considerations of impacts on people or alternative ways to address these issues. As we have seen over the past few decades, many of the assertions of environmental lobbyists have turned out to be grossly exaggerated. Similarly, concerns over “sprawl” in the high-income world, for example, have focused on such things as the disappearance of forests, yet, with enlightened policies, both green spaces and forest lands have expanded. Similarly, “sprawl” has not impinged much on farmland or harmed food stocks; indeed both the European Union and the United States continue to produce vast surpluses of food. Rather than suffering from “peak oil,” we are awash in oil and gas. At the same time, new technologies like low emission cars, solarizing homes, more efficient monitoring of energy use and some intelligent planning—for example, dispersing work or planting trees—make the draconian steps being proposed by many greens and their allies moot. There is simply no reason, as a recent McKinsey study has shown, for a shift to denser urban housing, a critical element in contemporary climate change thinking. Certainly the Church that built so many of the world’s great hospitals, universities, and charities could contribute greatly to grassroots environmental efforts that do not depress the prospects for the poor. In seeking to improve conditions for its flock, the Church needs to make sure that they also don’t get fleeced and driven further into poverty. Social justice may be an important value, but it is dubious that the Church’s credibility will be well served by a neo-feudal alliance dominated by those who abhor the Church’s other core values such as family, the sanctity of human life and some degree of social prudence. The Church, as well as those of us outside of it, would do better to develop morehumane, and less hysterical, responses to climate-related issues, and in ways that do not stomp on human aspiration. We should avoid the march full-speed backward in time, to the glorious elitism, mass poverty, and class stagnation of the Medieval era. The world’s people, and Francis’s flock, deserve better than that.